While having spring break off from school may be fun for your kids, it presents a conundrum for parents: either hire a full-time babysitter to watch them, sign then up for a week of expensive, often inconvenient camp, or spend the week together as a family. For those who choose the third option, there are countless destinations that parents love that kids aren’t too keen on, but few that fit the needs of both adults and children alike—except one. While it’s home to countless museums, Michelin-starred eateries, and exciting culture at every turn, New York City is also a prime destination for anyone eager to take a trip their little ones are sure to love. So, what should families spending spring break in NYC check out? Widely regarded as one of the world’s best natural history museums, the American Museum of Natural History in Manhattan welcomes close to five million guests each year, each eager to see some of the 33 million-plus specimens housed in the museum’s two million-square-foot space. And those who visit this spring can even visit one of the museum’s most highly-anticipated exhibits, with a Titanosaur, a 122-foot dinosaur added to the museum’s collection in 2016. Looking to take your kids for a meal they won’t soon forget this spring break? Then head to Sugar Factory on the Upper West Side. This mecca of sweets has everything from candy-coated milkshakes to oversized cotton candy to sliders served on multi-colored buns, each dish sure to become an instant hit with even the pickiest eaters. While Manhattan is home to some of the world’s most famous art museums, Brooklyn is home to a truly incredible experience for children. At the Brooklyn Children’s Museum, kids can enjoy everything from a simulated Brooklyn neighborhood to a sensory room to a Color Lab, an exhibit centered on the work of African, African-American, and Afro-Caribbean artists. 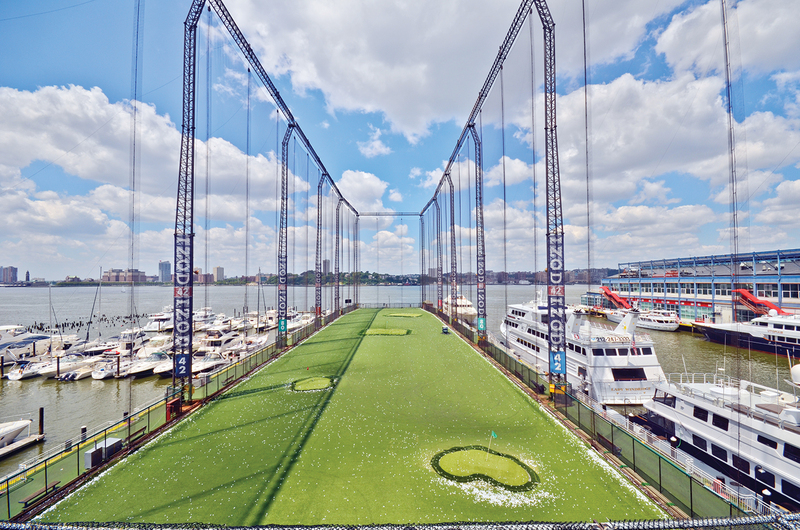 If your kids need to expend some energy, head to Chelsea Piers on Manhattan’s West Side. Whether they love rock-climbing, bowling, gymnastics, or just feel like spending a few hours jumping on a trampoline, this enormous gym facility is sure to be a hit with kids and parents alike. If you and your kids love movies and TV, you’ll all flip for the unique exhibits at the Museum of the Moving Image in Queens. Parents will adore exhibits on things like The Coen brothers’ costuming and behind-the-scenes film production, while kids will absolutely adore the Jim Henson Exhibit, including getting to meet famous characters like Kermit and Miss Piggy. Whether you’re eating epic desserts, meeting the Muppets in person, or just getting out some extra energy with a day spent at Chelsea Piers, there’s no place like New York to keep your kids entertained while they’re off for spring break. Before you spend your kids’ break trekking from place to place, set your sights on New York—it’s sure to be a vacation your family won’t soon forget.